During recent years, people involved in developing new metals and materials for use in some of the rather extreme conditions of stress, temperature, and environment have relied heavily on the microstructural condition of their materials. In fact, many of the newer materials, such as dispersion-strengthened alloys, have been designed almost entirely by first determining the microstruc- ture desired and then finding the right combination of composition, heat treatment, and mechanical working that will result in the de- sired microstructure. Furthermore, the extremely high reliability required of materials used today, for example, in aerospace and nuclear energy systems, requires close control on the microstruc- tural conditions of materials. This is clearly evident from even a cursory examination of recently written specifications for mate- rials where rather precise microstructural parameters are stipu- lated. 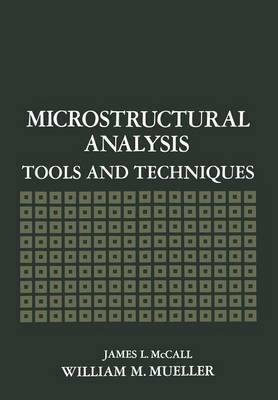 Whereas specifications written several years ago may have included microstructural requirements for details such as ASTM grain size or graphite type, today's specifications are beginning to include such things as volume fraction of phases, mean free path of particles, and grain intercept distances. Rather arbitrary terms such as "medium pearlite" have been replaced by requirements such as "interlamella spacing not to exceed 0. 1 micron. " Finally, materials users have become increasingly aware that when a material does fail, the reason for its failure may be found by examining and "reading" its microstructure. The responsibility for a particular microstructure and a resulting failure is a matter of growing importance in current product liability consider- ations.